It may surprise you to know that a real estate broker showing you a commercial space represents the landlord unless you actually have a signed agency disclosure agreement stating otherwise. Elika is dedicated to solely representing tenants and providing our clients with undivided loyalty at all times. Through our experience, in-depth market knowledge, and superior service we bring value to our clients. Our expert commercial brokers service all of your real estate needs. They will help you navigate the entire process, working as your real estate advisor in pursuit of sourcing the optimal retail, office, professional or investment property. The process begins by determining the ideal location for your business and how large a space you would like, then embarking on the initial search. We will not rest until every last detail, this includes, but is not limited to, contract negotiations, any architectural planning you may need and finally, the signing of the lease or purchase agreement. Whether you are considering an office space, a location for a retail operation, relocating your current business or renegotiating an existing lease Elika is the right choice with your best interests in mind. At Elika Our service is 100% free to our clients as the landlord pays all broker fees. We save you time and money through our aggressive and unbiased representation always trying to negotiate the best possible terms. At Elika, we believe in constantly working to translate your business requirements and personal taste into the ideal commercial space. Every action we take and every consultation we make is done with your best interests in mind. We also strongly believe in loyal and ethical representation of tenants, to avoid any conflicts of interest that may arise when representing both tenants and owners. 100% Satisfaction – We relentlessly search for the perfect space until you are 100% satisfied. 100% Devotion – We will negotiate and secure the best lease terms possible. 100% Confidentiality – Your personal and business information is held in the strictest confidence. – Locating commercial real estate for your company’s new office, store etc. – Contract or rent lease negotiations. – Expanding your current space within your current building. We know that our reputation and future i success based on getting the best deal for you, our client. With over 20 years’ experience buying and selling real estate in Manhattan and throughout New York City, Elika Commercial is a highly-connected, high-powered member of the investment sales community. 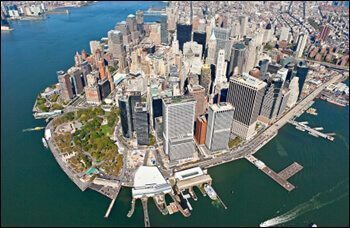 Buyers and sellers of investment properties in New York City need an experienced and skilled hand at the helm to navigate the intensely competitive real estate market in the city. After all, purchasing New York investment property is far from simple; the path to a successful investment is filled with obstacles. That is why Elika is here to serve as a valued partner and help you acquire profitable investment properties in a smooth and seamless manner. Elika Commercial firmly believes in the relationship between location and the success of a retail business. We also understand that no one Manhattan retail space is going to be perfect for every client – which is why we tailor our search to find the perfect location in New York City for you. Location, while key, is not everything. To thrive and dominate market share, you also need top-notch service from your representative to help you negotiate a fair retail lease and find a landlord who is as dedicated to your success as we are. New York’s commercial retail real estate market is incredibly dynamic and competitive; fortunately, you have the full support of a top New York City commercial tenant representatives behind you. We are experts in Manhattan retail real estate with comprehensive access to every available listing and in-depth experience with all market conditions. Our knowledge of the retail real estate market in New York City helps you immediately discern the difference between an excellent and inadequate retail space, which can be subtle. This allows you to negotiate a fair retail lease and obtain the ideal location you deserve. Support services and access to our proven network of vendors such as architects, GCs, attorneys etc. Class A office space represents the most exclusive and desired commercial property in a given market – the top standard for commercial real estate in an area. Located in highly-desired buildings in key hubs in Manhattan, this office space contains the most aesthetic and expansive space available, with top-notch amenities and accessibility. Choosing Class A office space is the best way to dynamically improve your companies image and brand stature. Elika Commercial Realty has a proven history of obtaining premier New York City Class A office space for our clients. Our record speaks of expert skill and experience, with thousands of successful lease transactions and a world-class knowledge of the best, most desired locations in Manhattan. If you want the absolute best space, choose the absolute best real estate firm for you. Class B office space in New York City tends to be newly renovated buildings constructed prior to World War II. They range from traditional office buildings to upscale, high-tech lofts. Class B office space offers services and amenities that are less than an Class A building, but are acceptable for a wide range of businesses.